Juniper Networks has announced new developments with Cloud-Grade Networking, designed to offer service providers and enterprises a simplified way of building cloud networks that allow faster provision of services. Juniper's Cloud-Grade Networking establishes a new set of principles for the way applications and services are architected, delivered and secured and combines telemetry, automation and machine learning capabilities to support the transition to the cloud. Cloud-Grade Networking is based on four principles: a platform-first approach, disaggregation, a Self-Driving Network, and software-defined security. This foundation is designed to bring cloud agility and scale to network operators, speed innovation and streamline operations. Leveraging new orchestration and automation capabilities, this approach combines carrier-grade reach and reliability with enterprise-grade control and usability. 1. Junos Node Slicing, based on the ability of Junos OS to support the convergence of multiple concurrent network functions on the same physical routing infrastructure by decoupling the network software from the underlying infrastructure. 2. Universal Chassis, a cloud-grade chassis supported on the new PTX10008, PTX10016, QFX10008 and QFX10016, and in the future the MX series line cards, which allows customers to standardise on a hardware platform across the data centre, core and network edge; by decoupling line cards from the physical chassis, users can reduce the operational complexity of sourcing, procuring and deploying disparate routing platforms across different use cases. 3. Professional services (PS), including two new automation PS engagements, with a PS that provides continuous network infrastructure integration to automate design, test, deployment and audit network environments, enabling evaluation of new network changes within hours. 4. NorthStar controller enhancements, with Juniper's wide-area network SDN offering extended support for Source Packet Routing in Networking (SPRING) for more precise traffic engineering control and programmability across the network, plus support for real-time stream telemetry via the Junos Telemetry Interface (JTI). Junos Node Slicing, PTX10008 and QFX Universal Chassis, the NorthStar controller enhancements and new professional services engagements are available immediately. Huawei unveiled a new metro multi-service optical transport (MS-OTN) solution, the OSN 9800 M24, designed to enable increased capacity, efficiency and flexibility in metro networks. Huawei noted that in the digital era, as operators face the need to meet increasing demand for high bandwidth services while ensuring zero congestion and packet loss and low latency, and with emerging services that require greater bandwidth across various locations the central office (CO), which serves as the integrated service access point, is becoming increasingly important in metro networks. To address these demands, operators therefore need to improve their CO capabilities to prevent metro networks from becoming a bottleneck for integrated service bearing. However, legacy CO equipment rooms typically need to be rebuilt to meet power supply, space, and bearing structure requirements. Huawei stated that operators are applying OTN technology in metro networks to enhance capacity, efficiency and flexibility, and to meet projected capacity needs an OTN to CO solution is the next stage in the development of metro networks. The new OSN 9800 M24 metro MS-OTN product is designed to address service bearing requirements on CO nodes. 1. Support for existing services on metro networks, including home and mobile broadband and leased line services, while enabling a reduction in equipment and simplified network design. 2. Ability to support VR/AR, 5G and other future services, providing single-subrack cross-connect capacity of over 2.4 Tbit/s, expandable to meet operators' future high-bandwidth requirements. 3. Delivers an optical-electrical integrated solution with the facility to share parts with the Huawei OSN 9800 and OSN 1800 products for simplified O&M. 4. Compact, low power platform designed for space-constrained CO equipment rooms. 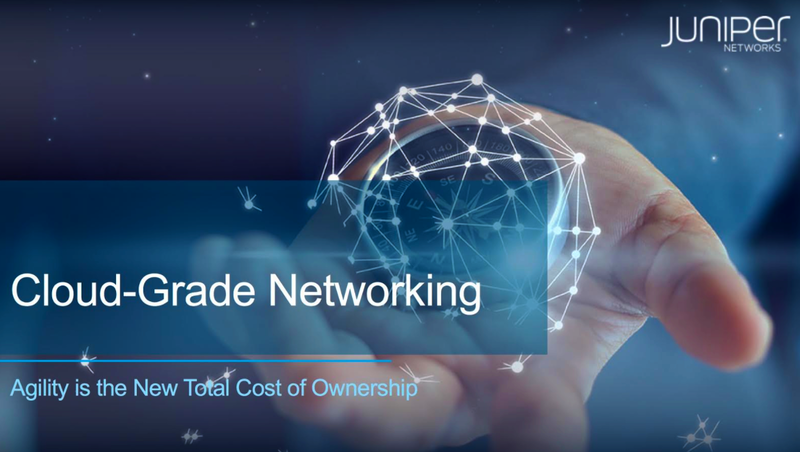 Regarding the new solution, Richard Jin, president of Huawei transport network product line, said, "Huawei’s all-service bearing OSN 9800 M24 offers a compact structure, flexible deployment and O&M, enabling an OTN-to-CO simplified optical network to be implemented in operators metro networks… Huawei will continue to work with global operators to help build future-oriented cloudified transport networks…". Packet Design, a provider of route analytics designed to enhance network availability and performance, has launched a new application, Explorer SDN Path Provisioning, designed to enable network operators to quickly build and activate the services demanded by customers. Packet Design's new Explorer SDN Path Provisioning application automates service path computation leveraging a set of real-time, historical and predictive analytics from its Explorer SDN Platform. As examples, Packet Design stated that a customer could request a low-latency link from New York to Los Angeles to support voice or video service, or request a geographically constrained service that excludes routers in a certain city, region or country, or an operator may wish to offer a diverse path service for customers requiring a route with no single point of failure. The Explorer SDN Path Provisioning application enables operators to initiate these services automatically and with the confidence that the best paths are selected for each service. Using the application's web interface, network providers are able to create a catalogue of transport services offering the characteristics and constraints to meet product management requirements. Operators can then fulfil customer requests using a wizard to define the different services required. Packet Design stated that the path constraints operators can define include the transport service priority, the optimisation algorithm required, whether RSVP-TE or segment routing traffic engineering should be used, the type of protection, including node, link, shared risk link group (SRLG) or provider edge router diversity, and options to include or exclude nodes, interfaces and SRLG. The Explorer SDN Path Provisioning application can create policies that specify the devices and links the service traffic can traverse, as well as recovery options. At the click of a button, it can establish the path(s) by passing the configuration data via APIs to an SDN controller or service orchestrator. The new Explorer SDN Path Provisioning application is included with the currently available Packet Design Explorer Suite version 17.1. Additional new capabilities in this version include customisable dashboards and workflows designed for network engineers and operations teams. Explorer Suite also now features the ability to view the current and previous path for specific service traffic in a single view to aid troubleshooting of network routing issues. 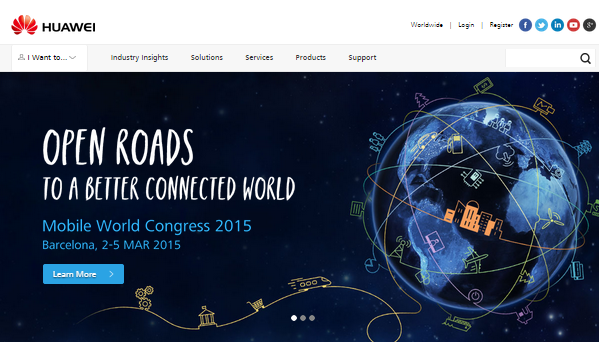 NTT Communications (NTT Com) announced the launch of the NTT SD-WAN Service Portfolio, offering coverage spanning over 190 countries, and also the deployment of a fully software defined network that provides the framework for the delivery of a suite of overlay SD-WAN services for global and regional enterprises. The global software defined network is designed to provide NTT Com with enhanced flexibility and speed to support new services that can help enterprises transform their operations. The NTT SD-WAN platform is based on a new architecture that is locally distributed at sites worldwide via over 75 local cloud centres (LCCs) that are optimised for network, mobility and security. In addition, NTT SD-WAN real-time streaming network analytics offers CIOs and IT staff insight into application performance, network security and the end-user experience. The platform can also support the delivery of services from CPE located at branch offices. 1. Real-time streaming network analytics based on NTT Com's application visibility reporting and analytics tool to help enterprise customers manage network workload and performance. 2. 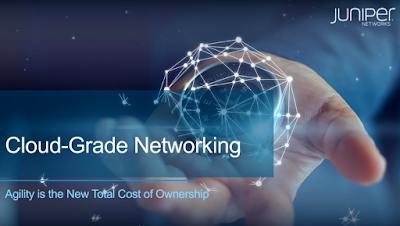 Enterprise connectivity flexibility, with support for connectivity options such as local ISP, Internet, broadband, wireless, MPLS and LTE, plus cloud connectivity to major SaaS and cloud service providers. 3. CPE flexibility, with the ability to select NTT provided or customer provided SD-WAN devices at branch offices. 4. Optimised local ISP selection and routing, offering optimised connectivity to 1,000+ local network providers that connect customer locations in over 190 countries. 5. Enhanced QoS, enabling the application and enforcement of QoS policies. 6. Secure web gateways and application acceleration, with security via NTT Com's secure web gateways at LCCs and application acceleration via its LCCs. NTT Com's software defined network also enables malware detection reporting to help enterprises deal with botnets and malware without the need for on-premises hardware or software. NTT Com noted that the new solution leverages the software defined technology and platform acquired via the Virtela acquisition in 2014. ZTE has announced the launch of its data centre interconnect (DCI)-dedicated stackable 100 Gigabit Ethernet + optical transport network (OTN) product, the ZXONE 7000, designed to support short-distance transmission within metro area networks (MANs) and long-distance transmission within backbone networks. A single ZXONE 7000 subrack delivers a capacity of 1.6 Tbit/s, and can be upgraded to 4.8 Tbit/s capacity. The compact, low power ZXONE 7000 supports access for 10 Gigabit Ethernet/STM-64 and 100 Gigabit Ethernet/OTU4 services. Offering high levels of integration, a stackable design and flexible deployment options, the solution is designed to make full use of equipment room space and to meet the requirements for power consumption and management in expansion projects. 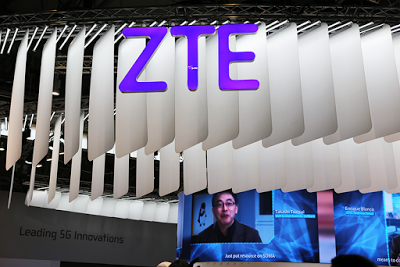 ZTE noted that the ventilation design of the system includes the air intake at the front and air outlet at the back to make it suitable for data centre (DC) equipment rooms and to improve heat dissipation efficiency. 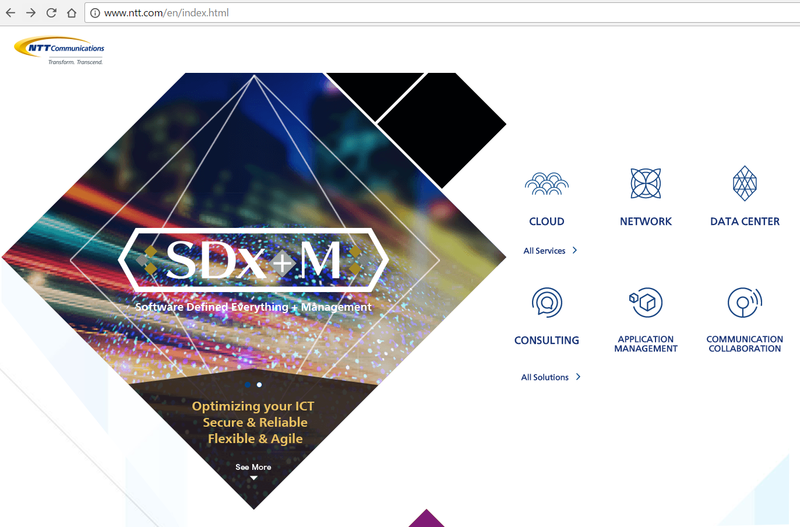 The solution features a software-defined optical network (SDON) function that allows the construction of an intelligent and open network architecture. Subracks can be managed utilising a range of methods, including ZTE NetNumen U31, Web-LCT and northbound interfaces to simplify operation and maintenance processes. Separately, ZTE introduced its metro-edge, elastic and enhanced optical transport network (E-OTN) product, the ZXMP M721 CX66A, which features high levels of integration with large capacity, intelligence and energy efficiency. The platform is designed to support service transmission in the convergence and access network layers with the move towards high bandwidth 5G and 'big video' services. ZTE's ZXMP M721 CX66A platform is a compact E-OTN product that features optical-electrical integration and support for ROADM and centralised electrical cross-connect technologies and implements non-blocking cross-scheduling of optical channel data unit (ODUks), packets (PKTs) and virtual containers (VCs). The ZXMP M721 CX66A solution is designed to meet the requirements of the 'big bandwidth' era across areas including service access, service transmission, operations and maintenance management and energy efficiency. It also provides software-defined optical networking (SDON) technology. 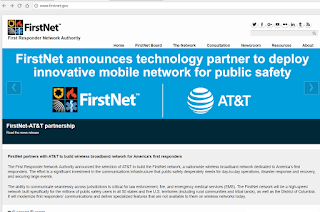 FirstNet and AT&T, which in April announced a partnership for the deployment of a national high-speed data and voice network for first responders, have detailed State Plans for U.S. states and territories to support the roll-out of the FirstNet network. The companies noted that the State Plans are being delivered three months ahead of the original schedule and represent a milestone in the deployment of the FirstNet network. The State Plans are being released via an online portal, while states and territories will have up to 45 days to review the plans. States and territories will be able to exchange feedback with FirstNet prior to an official 90-day period for governors to make an 'opt-in/opt-out' decision on their state plans. A decision by a state/territory to opt-in will allow FirstNet and AT&T to immediately begin delivering services to the state or territory's public safety community, as well as enabling infrastructure investments for the network. 1. Transfer of the financial, operational and technical risks of building, maintaining and upgrading the FirstNet network in that state/territory to AT&T for a period of 25 years. 2. The launch of key network features, including priority access to voice and data across the existing nationwide AT&T LTE network. 3. The provision of pre-emption over the AT&T LTE network, which is due to be enabled by year-end, meaning that fire, police and EMS will have dedicated access to the network when necessary. 4. The delivery of new feature-rich services at competitive rates. AT&T announced in April that it had been selected by the First Responder Network Authority (FirstNet) to build and manage the first broadband network dedicated to U.S. police, firefighters and emergency medical services (EMS) across 50 states, 5 U.S. territories and the District of Columbia. 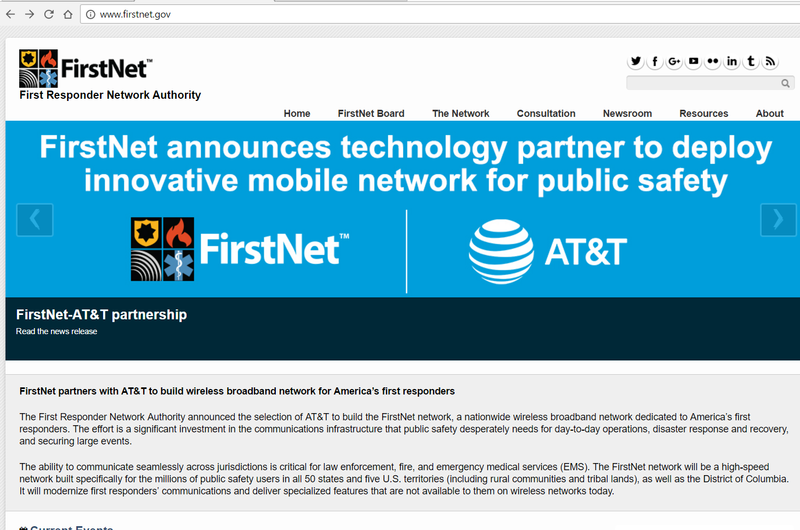 Under the terms of the 25-year agreement, FirstNet was to provide 20 MHz of telecoms spectrum and payments of $6.5 billion over the next five years to support the network build-out, while AT&T was to invest approximately $40 billion over the term of the contract to build, deploy, operate and maintain the network. 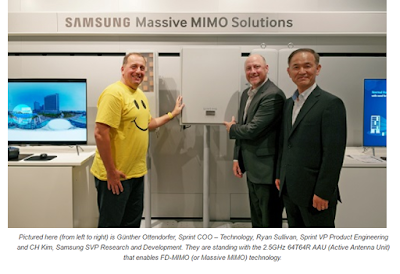 U.S. operator Sprint, a Softbank company, and Samsung Electronics announced that on the streets of the city of Suwon in South Korea they recently tested massive MIMO on 2.5 GHz spectrum in a real-world environment to support Sprint's efforts to increase LTE Plus wireless capacity and coverage and offer gigabit service to its customers. During the field testing in Suwon, massive MIMO Samsung radios, equipped with vertical and horizontal beamforming technology, achieved peak speeds of 330 Mbit/s per channel using a 20 MHz channel of 2.5 GHz spectrum. The companies stated that capacity per channel increased approximately four-fold, cell edge performance increased three times and the overall coverage area expanded compared with current radios. 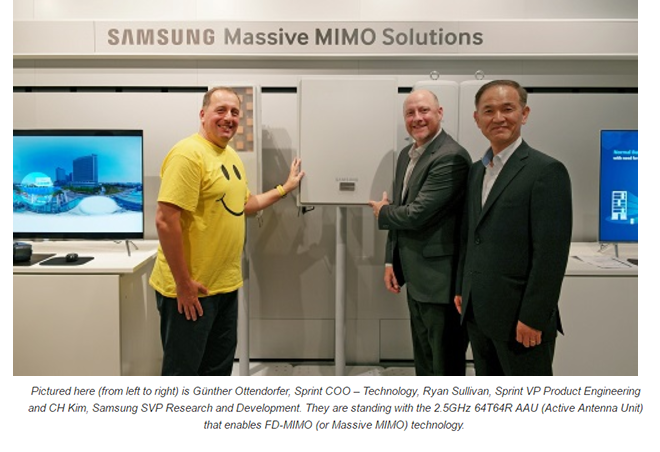 Sprint has deployed 8T8R (8 transmit, 8 receive) radios across its U.S. network, and the test with Samsung was designed to compare the performance of massive MIMO radios with 8T8R radios. The test cases and requirements were jointly developed by Sprint and Samsung and included a variety of performance scenarios involving multi-user and non-stationary testing. For the tests, Samsung provided the massive MIMO network infrastructure as well as test network design, operation, data collection and processing. Both companies plan to use the results of the testing to prepare for the commercial deployment of massive MIMO in the U.S. and in other markets globally. Samsung noted that massive MIMO radios involve the use of more antenna elements, for example, 64T64R uses 128 antenna elements, whereas 2T2R/4T4R/8T8R configurations are used in a typical 4G LTE network. The massive MIMO antennas also use advanced horizontal and vertical beamforming technology to focus and transmit cellular signals into targeted locations. This enables more efficient use of spectrum to deliver faster speeds and higher data capacity in high-traffic locations. Sprint plans to deploy massive MIMO radios with 128 antenna elements (64T64R) using its 2.5 GHz spectrum in cities across the U.S. to increase capacity by up to eight-fold. In March, Sprint became the first U.S. carrier to introduce gigabit-class LTE on a live commercial network with a launch in New Orleans. In New Orleans, Sprint implemented three-channel carrier aggregation and 60 MHz of 2.5 GHz spectrum, combined with 4 x 4 MIMO and 256QAM higher order modulation to achieve Category 16 LTE download data speeds over a TDD network. With massive MIMO radios using 64T64R, Sprint expects to be able to deliver capacity beyond 1 Gbit/s and reach between 3 and 6 Gbit/s bandwidth per sector.